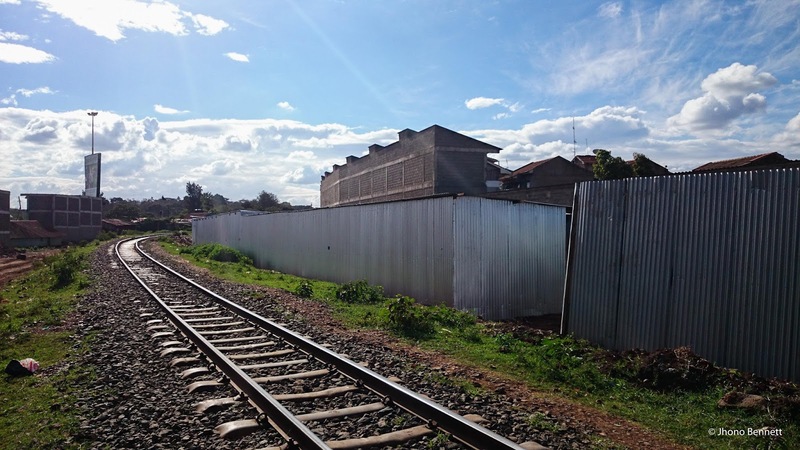 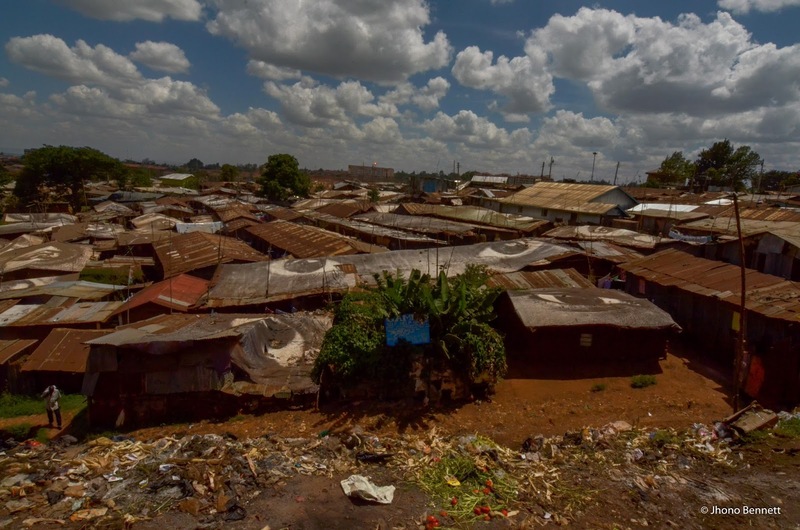 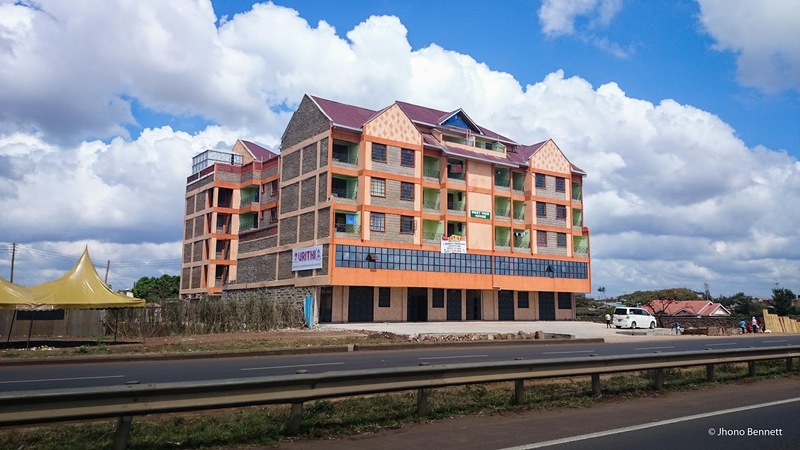 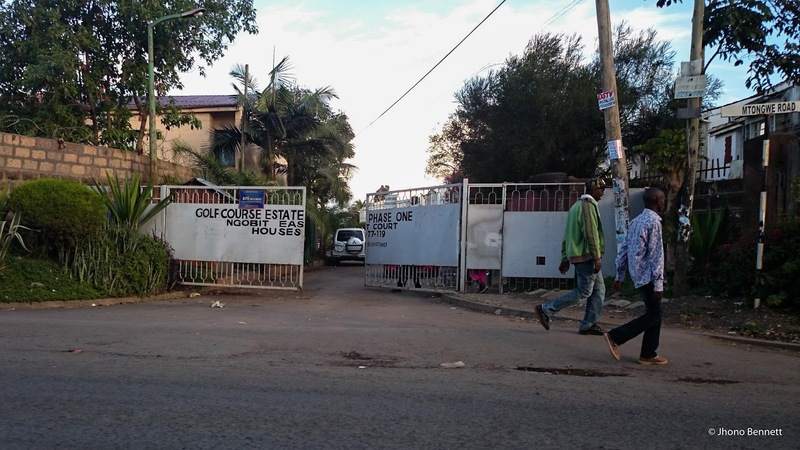 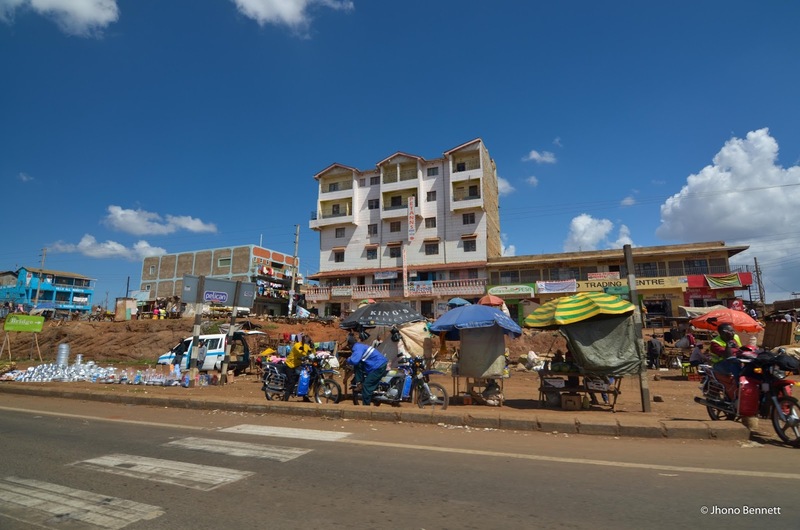 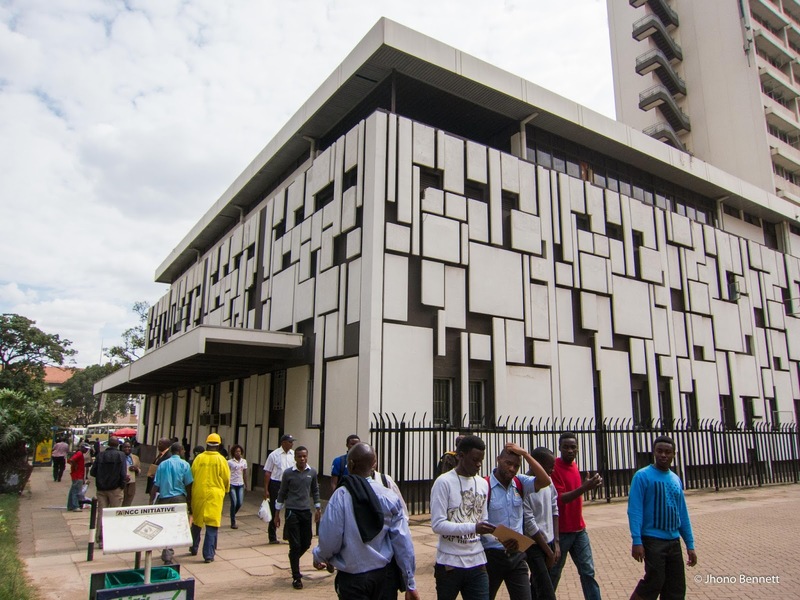 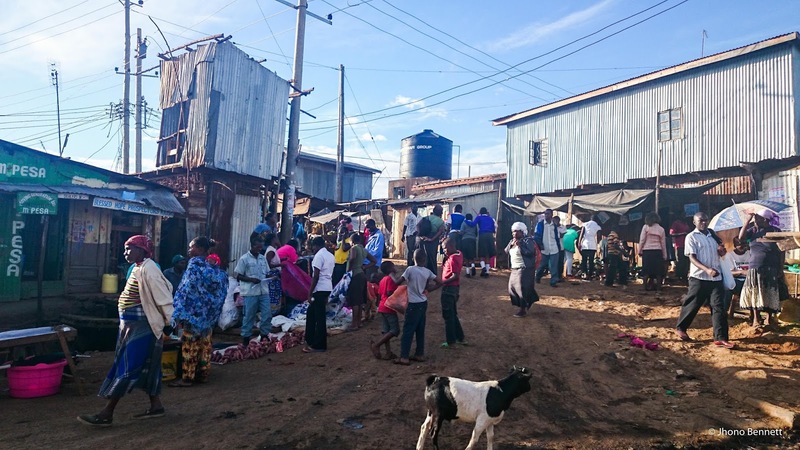 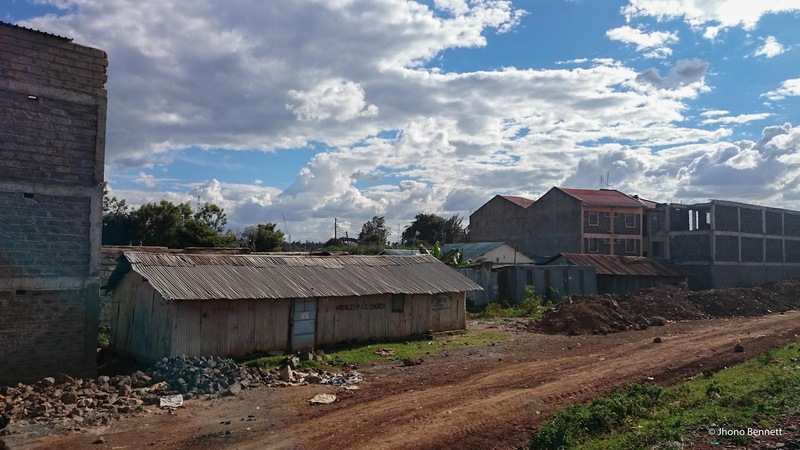 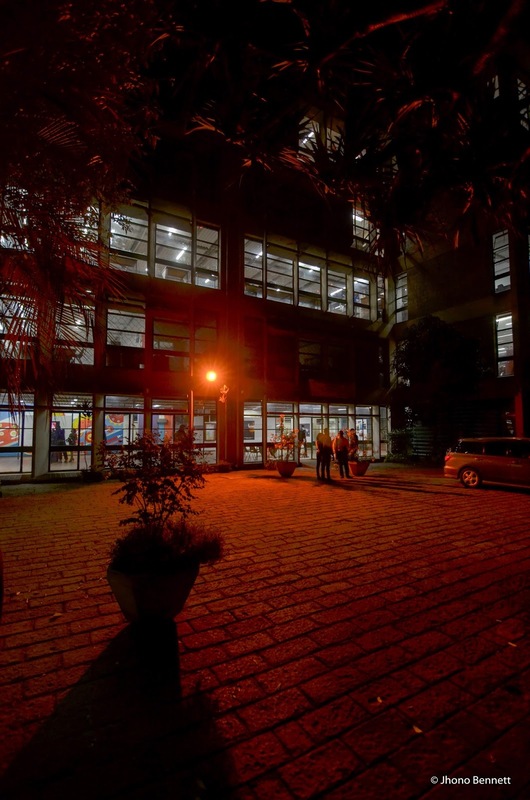 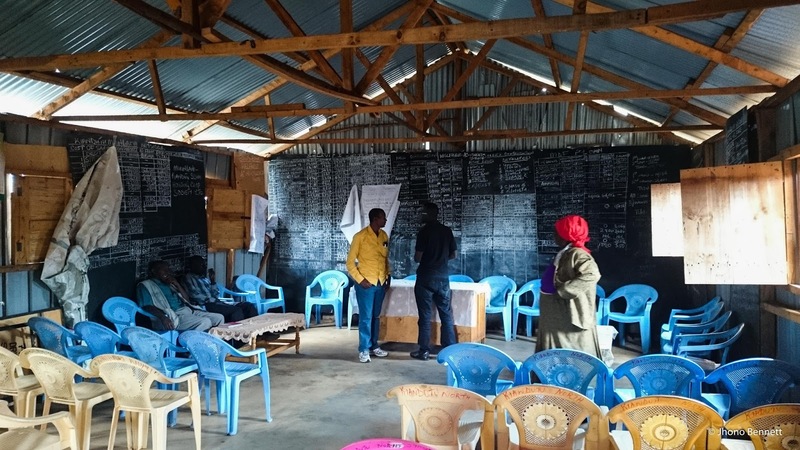 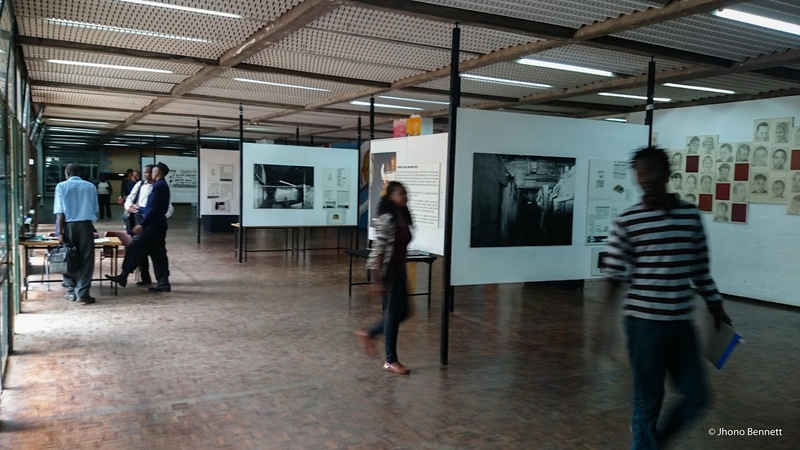 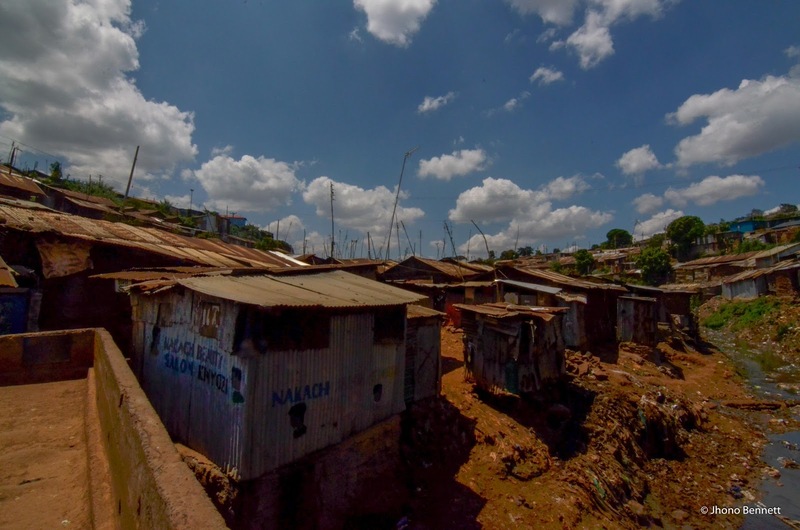 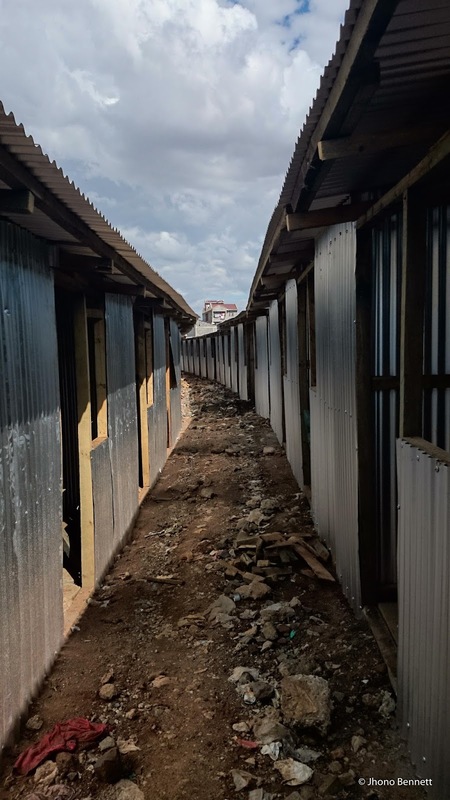 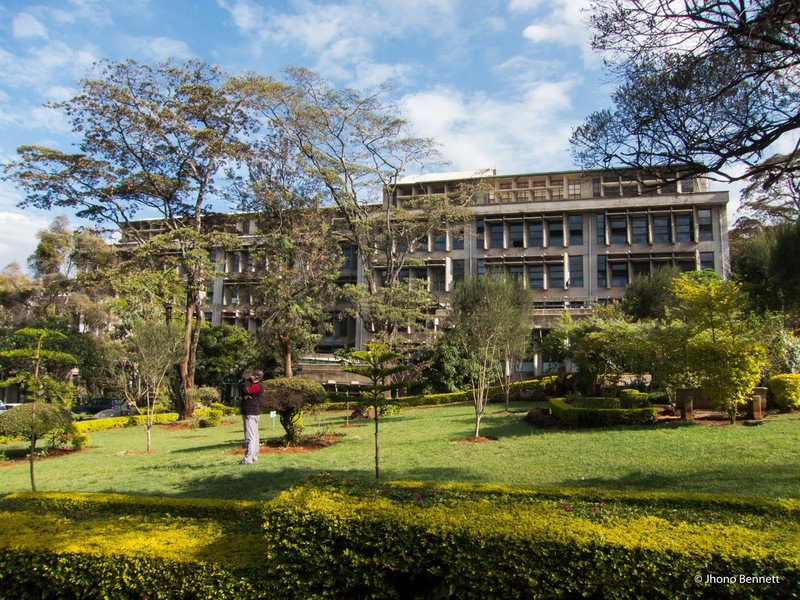 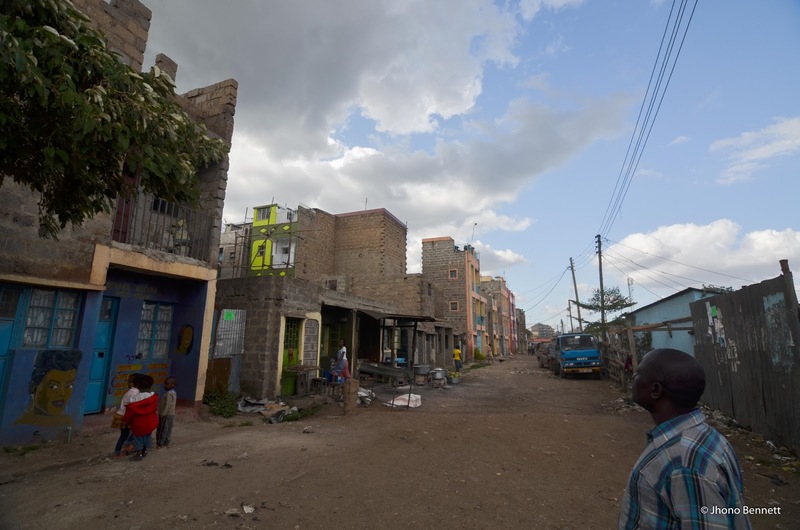 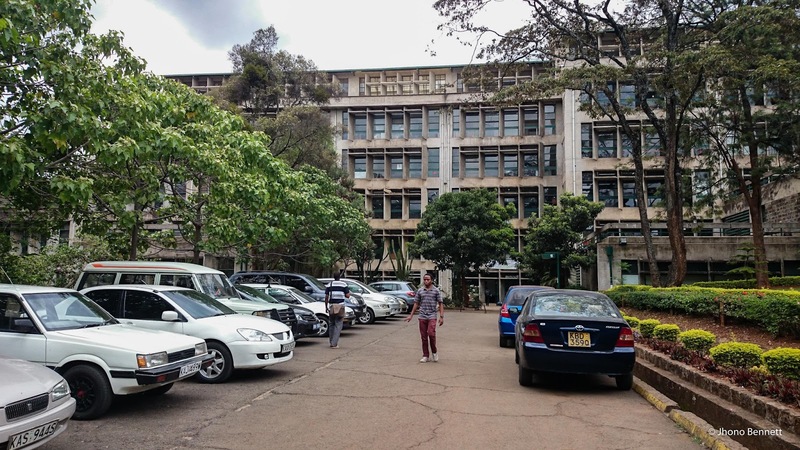 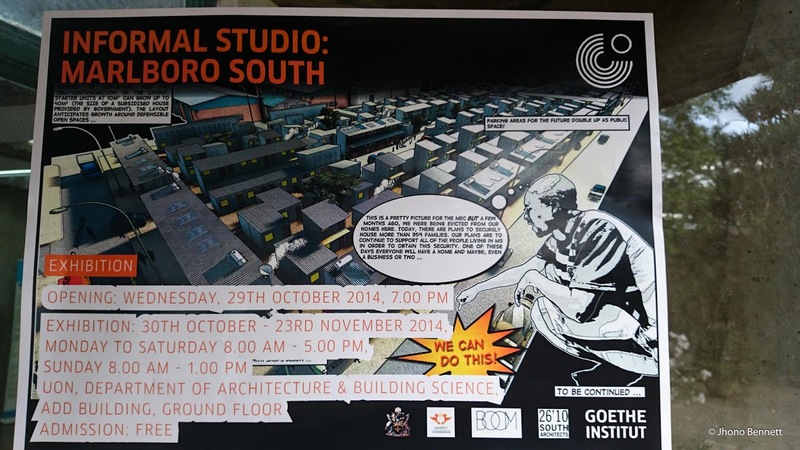 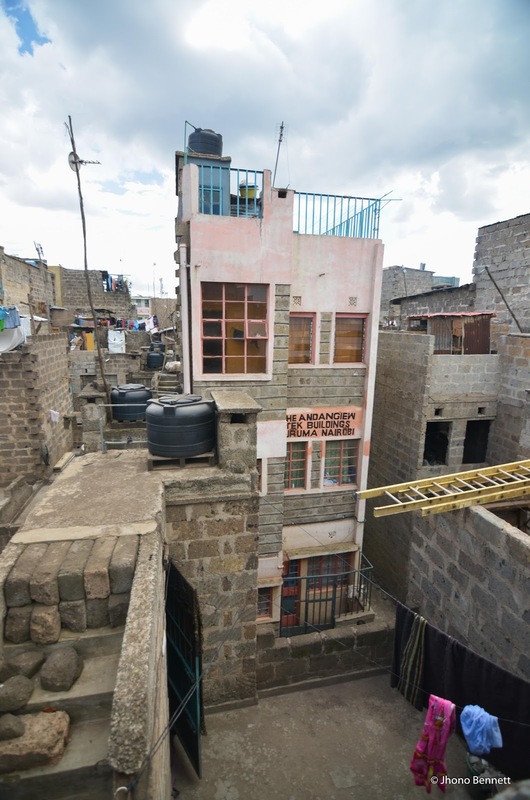 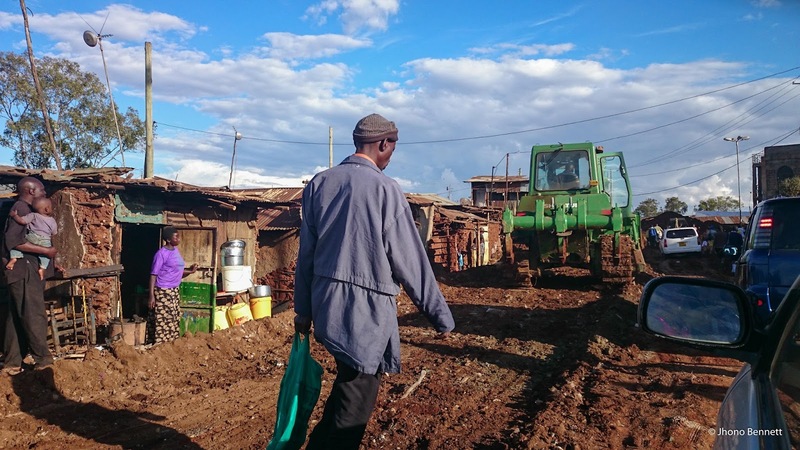 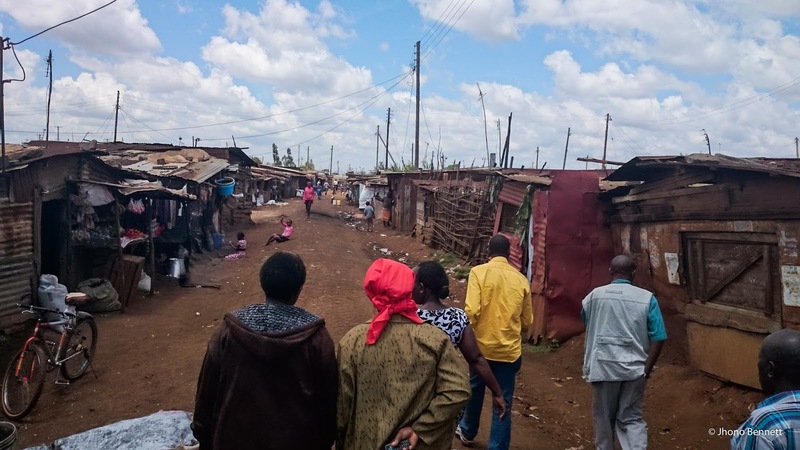 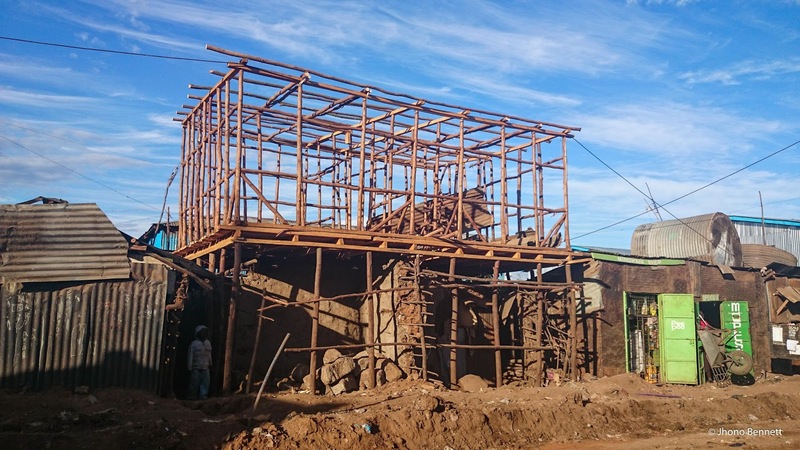 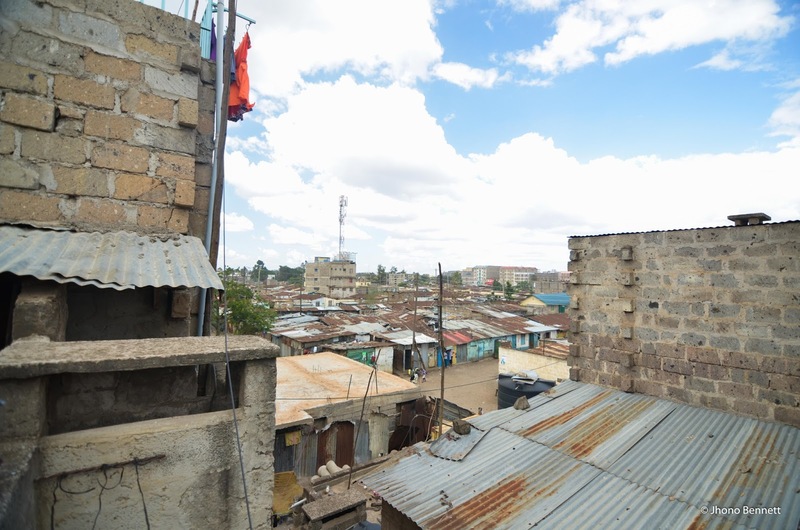 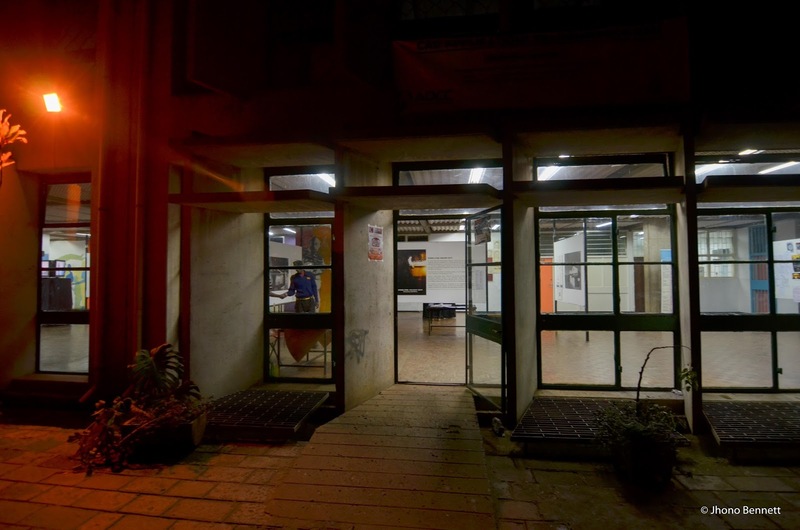 The Goethe-Institut Kenya and the University of Nairobi organised the exhibition Informal Studio: Marlboro South to be shown at the UoN’s Department of Architecture & Building Science. 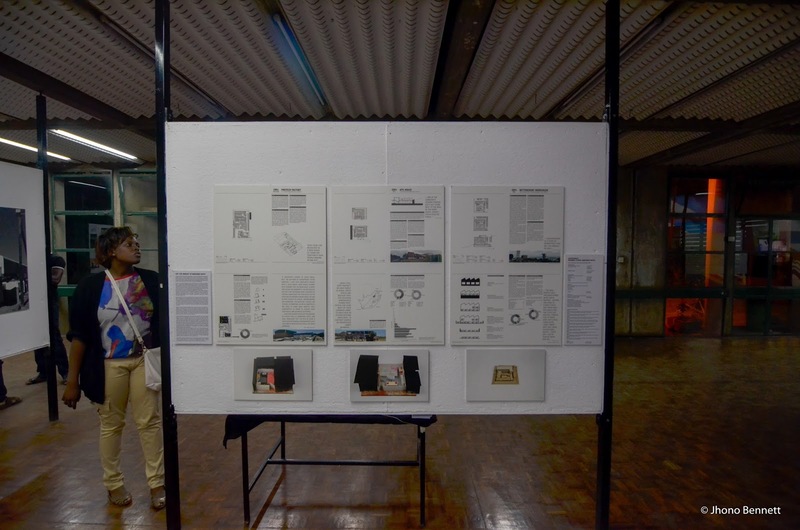 Jhono Bennett (University of Johannesburg) facilitated a workshop discussing Johannesburg as a city, the larger movements of national government in the face of the national housing challenge and how spatial designers are working within these larger issues. 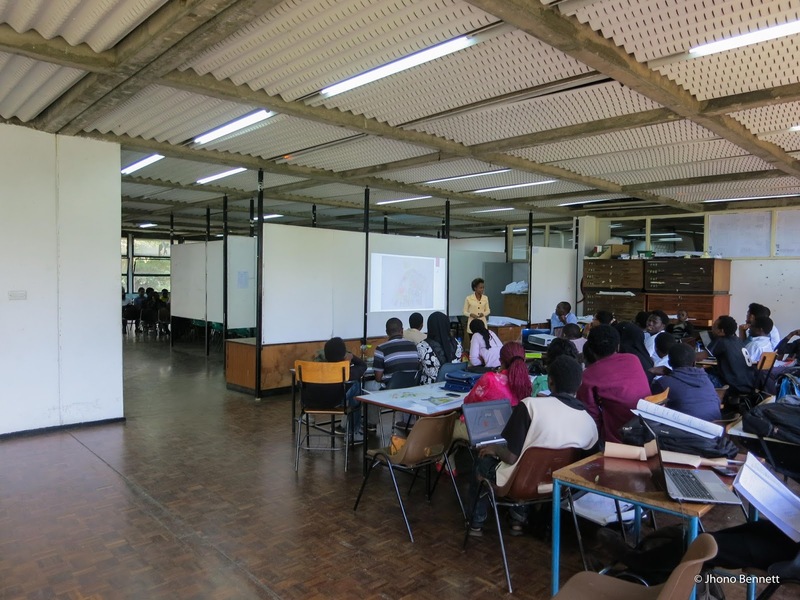 The workshop was supported by a Q & A panel discussion with Baraka Mwea from UN Habitat, Eric Wright and Claudia Morgado (UJ), UoN planners, architects and student representatives including: Adnan Mwakulomba Abdi (chairman), Ms. Hellen Nzainga, Dr. Joseph Kamenju, Prof. Anyamba Tom Tebesi and Dr. Kákumu Owiti Abiero. 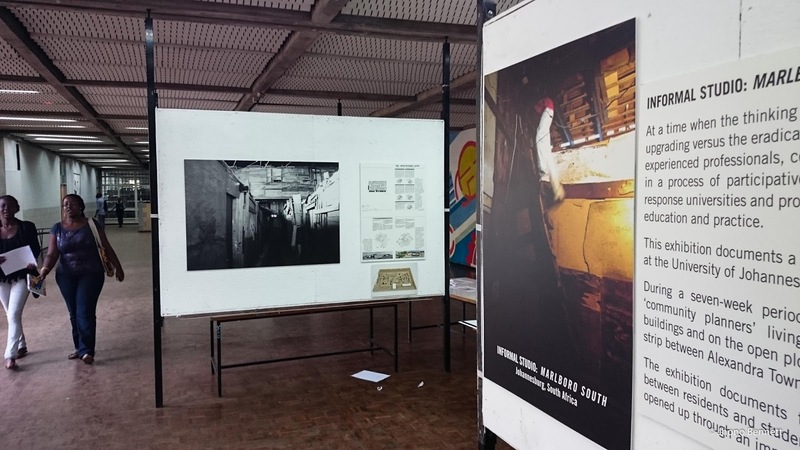 A travelling exhibition on the INFORMAL STUDIO: MARLBORO SOUTH documents the outcomes of the studio and its post-course engagement. 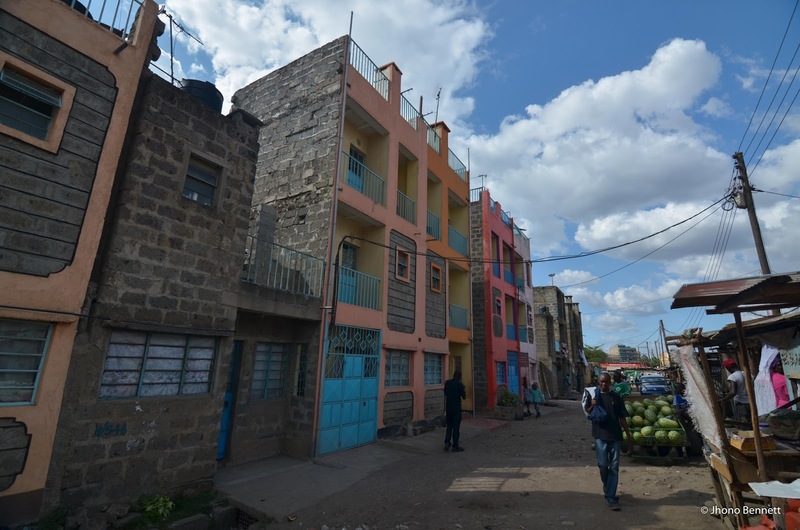 It seeks to demonstrate the value of participative design practice in education and practice towards developing contextually founded and achievable approaches to city-making. 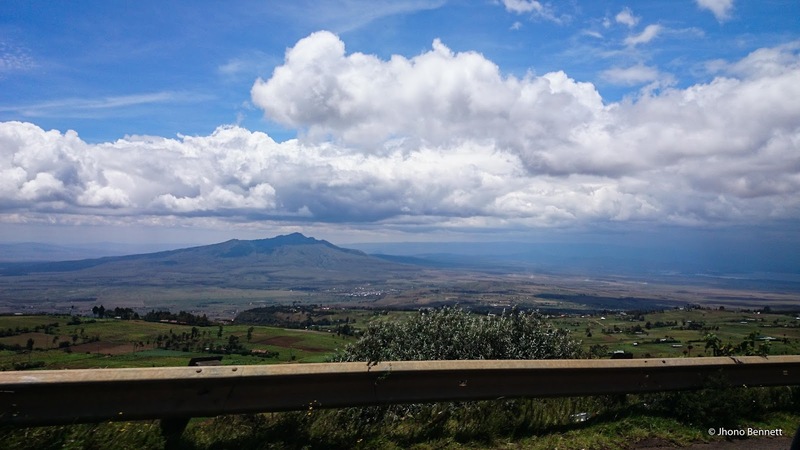 At the same time, it portays the complexity of engagement across cultural, social and economic divides and makes a case for the redefinition of the role of the professional from top-down expert to grass-roots agent. 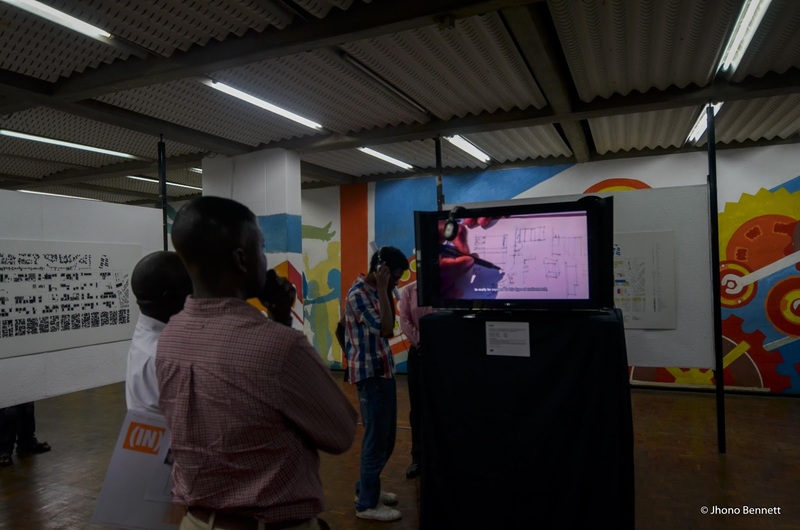 This process is captured in multiple narratives which take the form of drawing, maps, diagrams, models, comic and film. 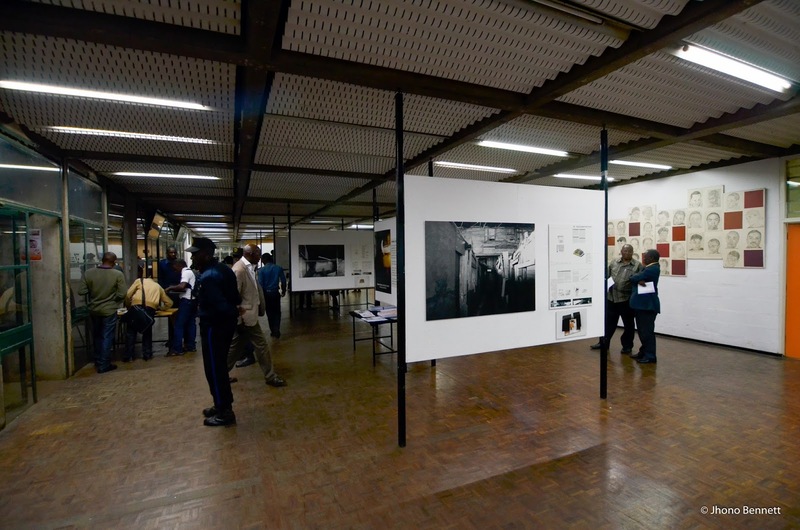 The exhibition was curated by Anne Graupner of 26’10 south Architects and its content has been shown in various local and international fora, including the South African Presidency. 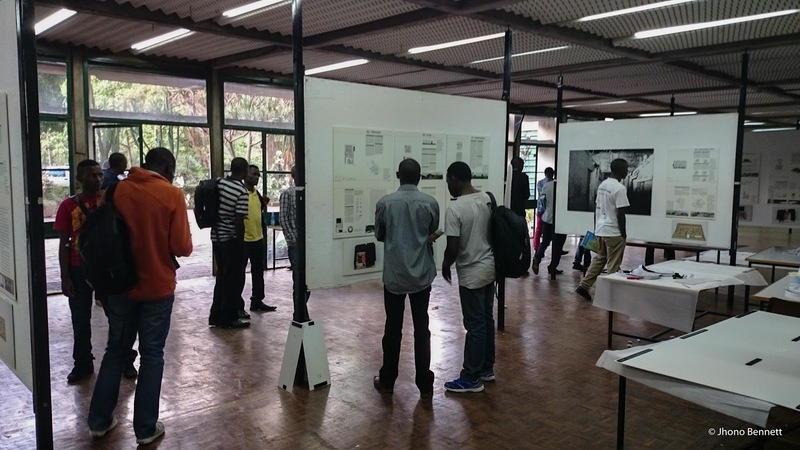 I arrived 1 week before the opening to lead the exhibition set up which with the support of the Goethe and the staff at the University of Nairobi’s Architecture Department went very smoothly. 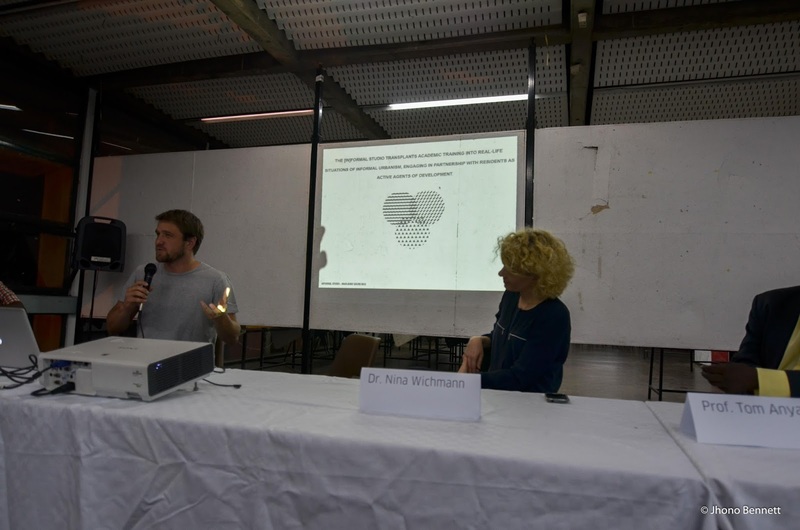 The exhibition was opened to a busy night, which included a short presentation by the Goethe, the head of school and myself on behalf of the Informal Studio team. 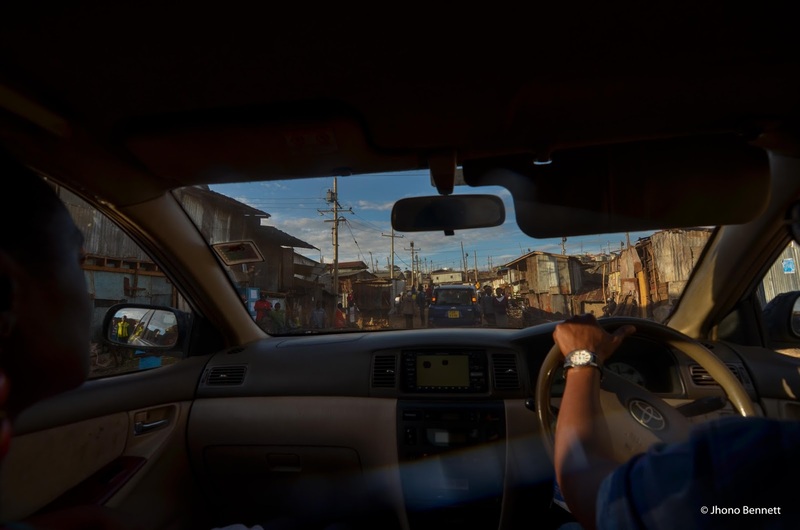 I purposefully extended my trip to allow time to explore Nairobi and meet with other design practitioners working in Nairobi. 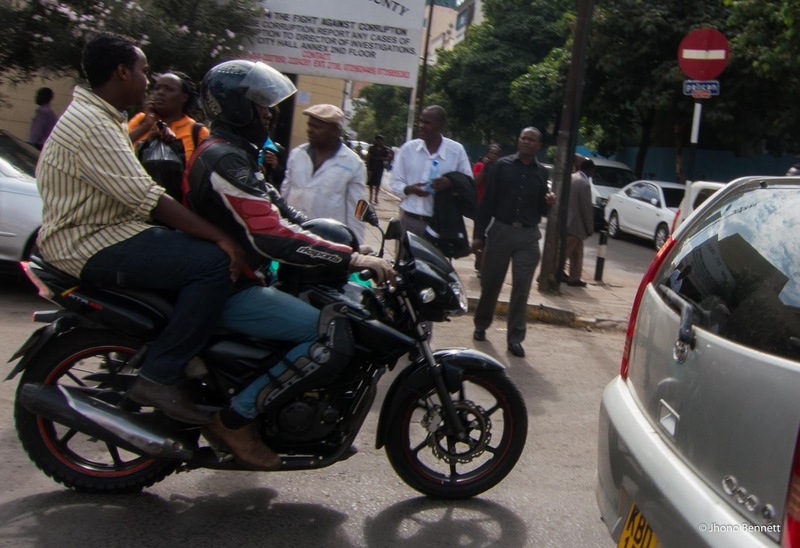 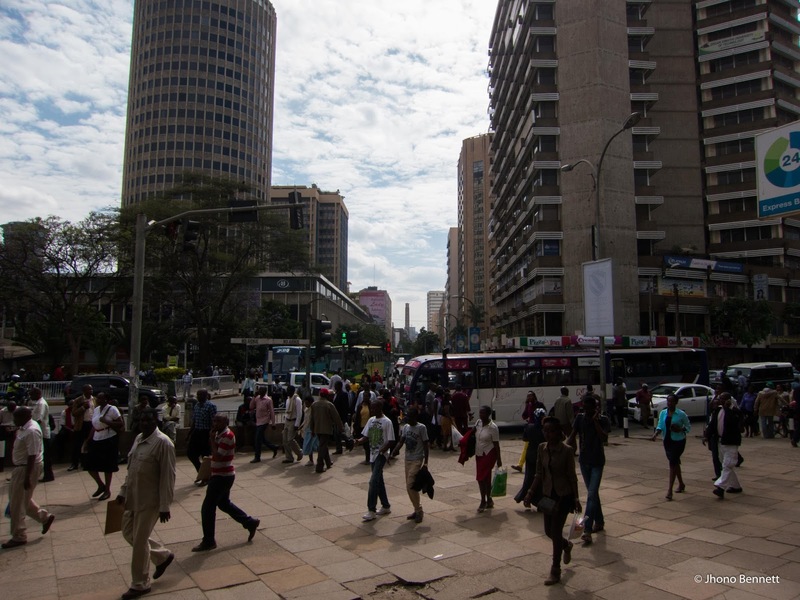 Nairobi felt like a mix of my home town of Durban with the energy of Johannesburg. 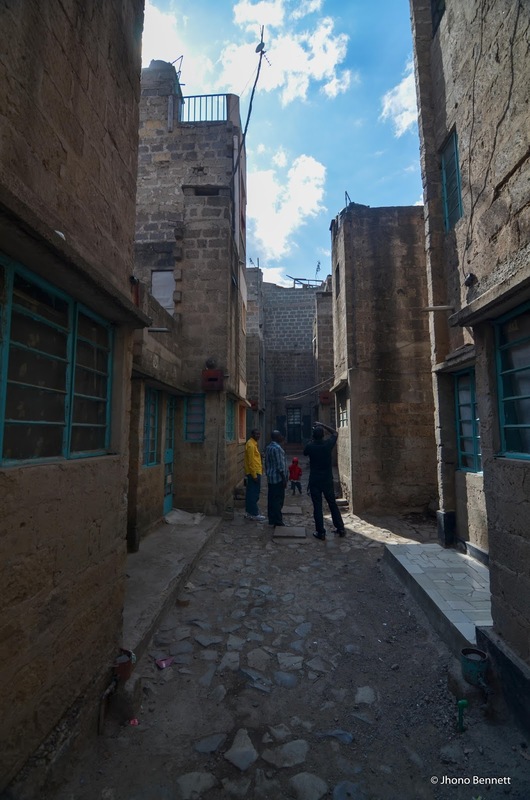 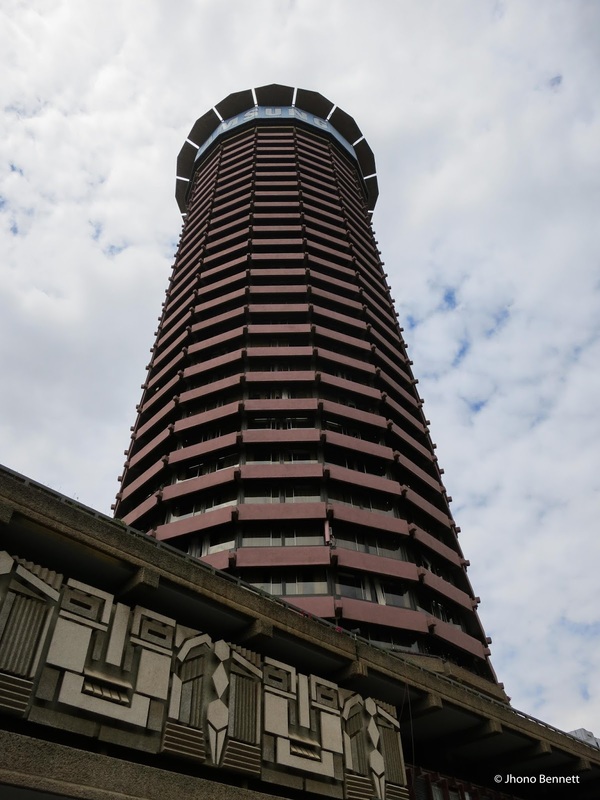 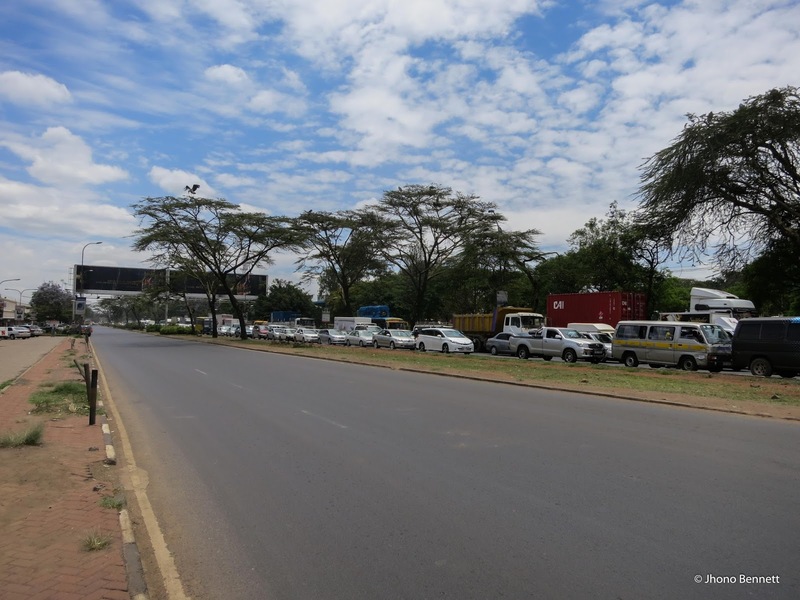 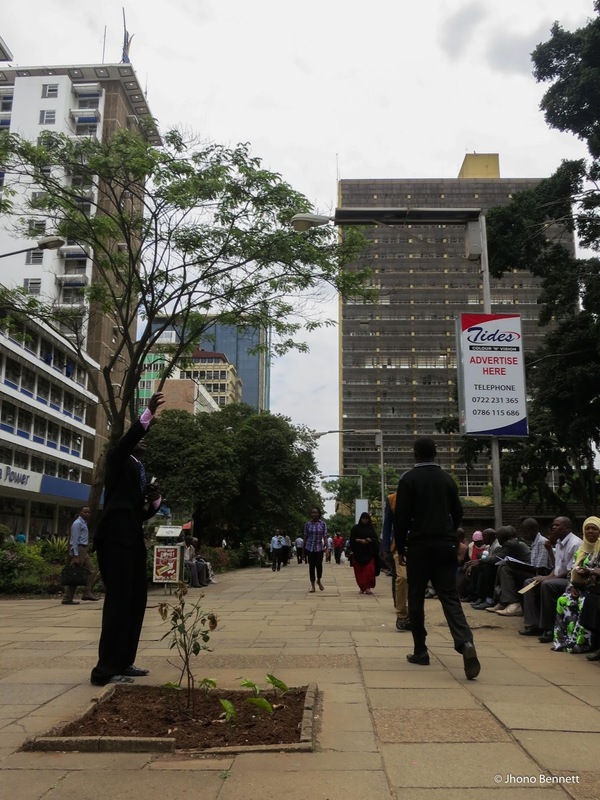 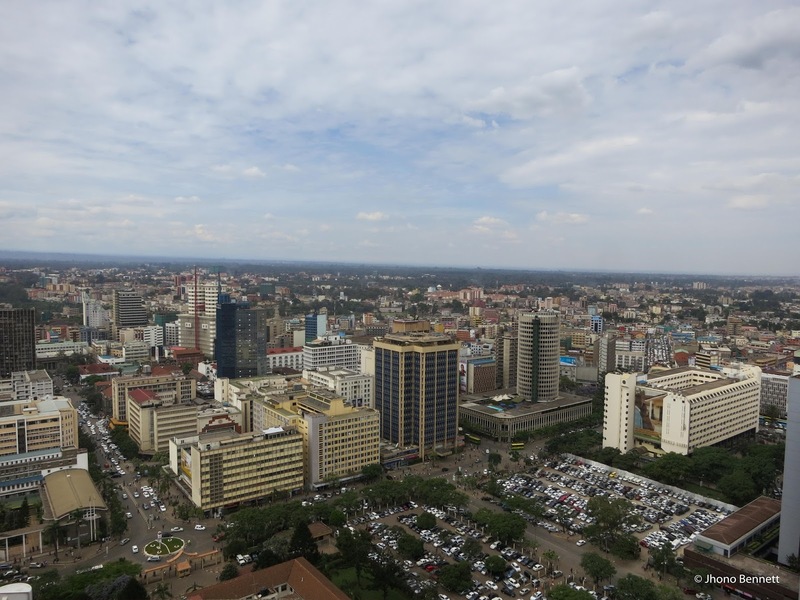 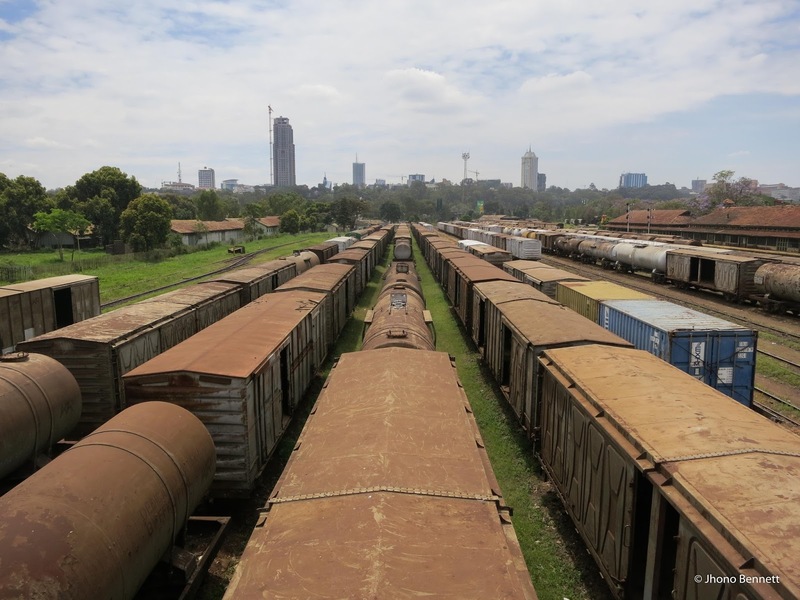 From alter discussion I discovered Nairobi was actually planned by a South African planner in the 1940’s and bares many of the same socio-spatial ills of South Africa cities. 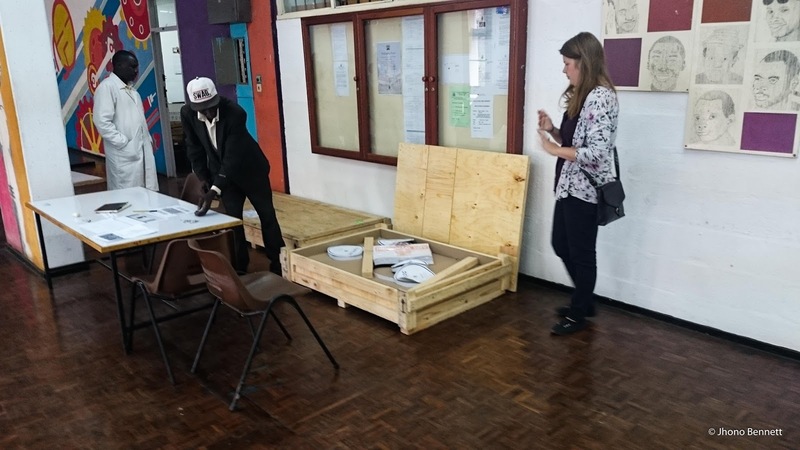 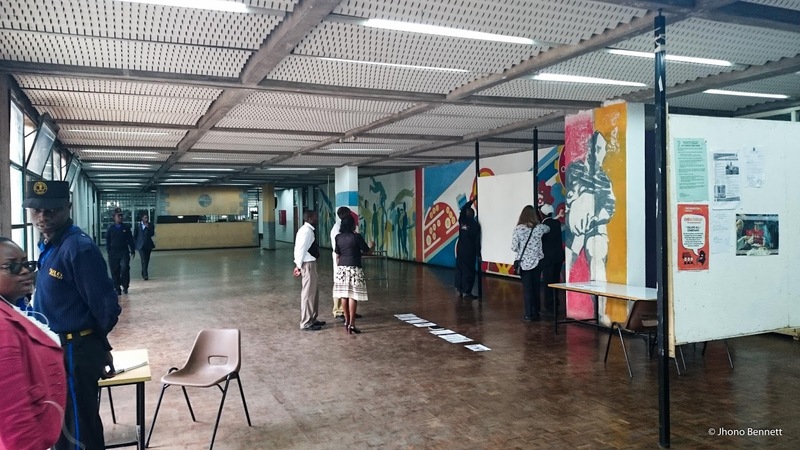 The team from the Goethe Nairobi were invaluable in the exhibition set up, and invited me to visit some of their art programmes in Kibera’s Soweto. 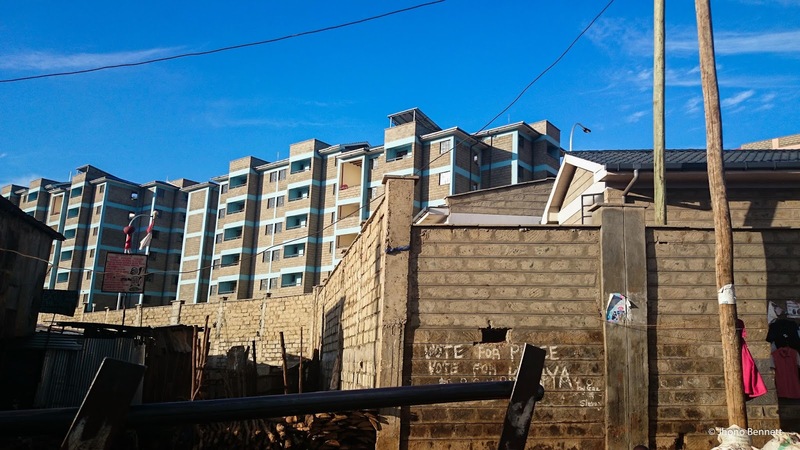 Privately built (questinabbly legal) multi-storey walk ups providing better density than other forms of delivery. 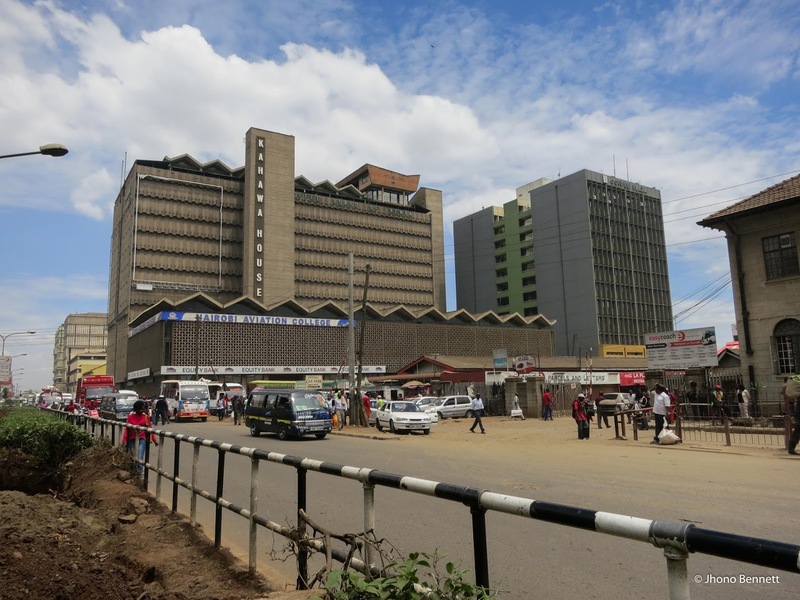 This part of my trip was planned to strategically meet with Jack Makau and Jane Weru of the Kenya SDI Alliance; Muungano Trust & Akiba Mashinini in order to build links between South African Socio-Technical Spatial Designers and those working in Kenya. 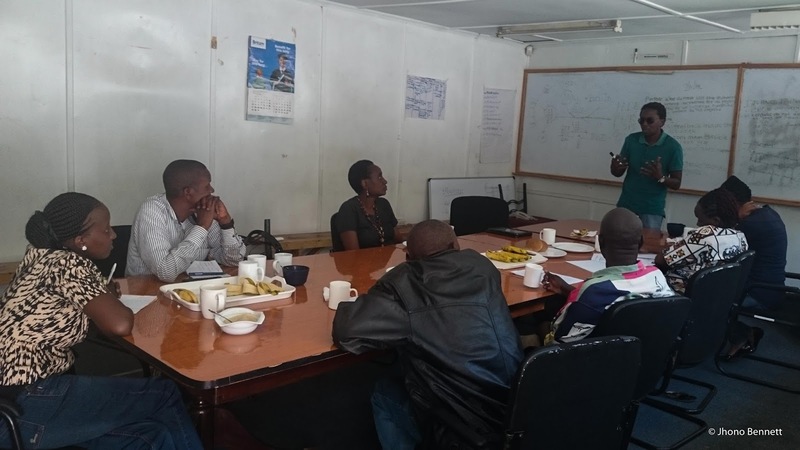 The organisations took me around to see their various projects and facilitated an exchange workshop between myself and their technical staff members. 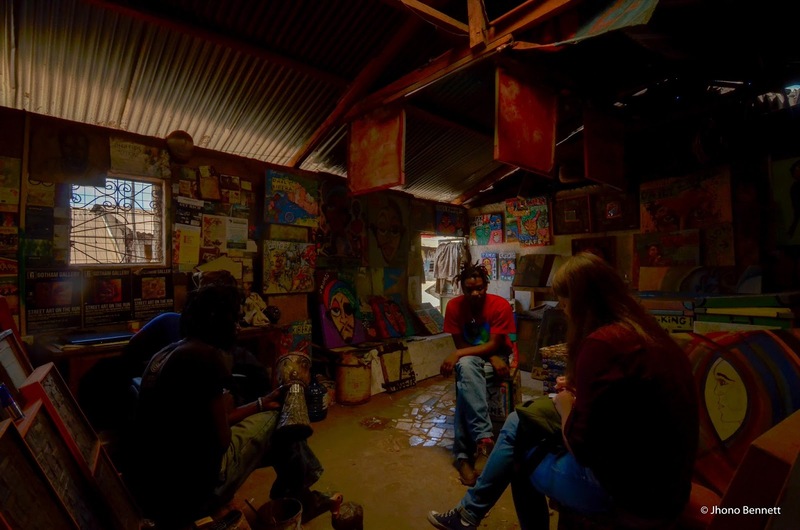 On top of completing my involvement with the Informal Studio, this trip allowed me to see many of the difficulty of the work we conduct in South Africa in a similar but very different context. 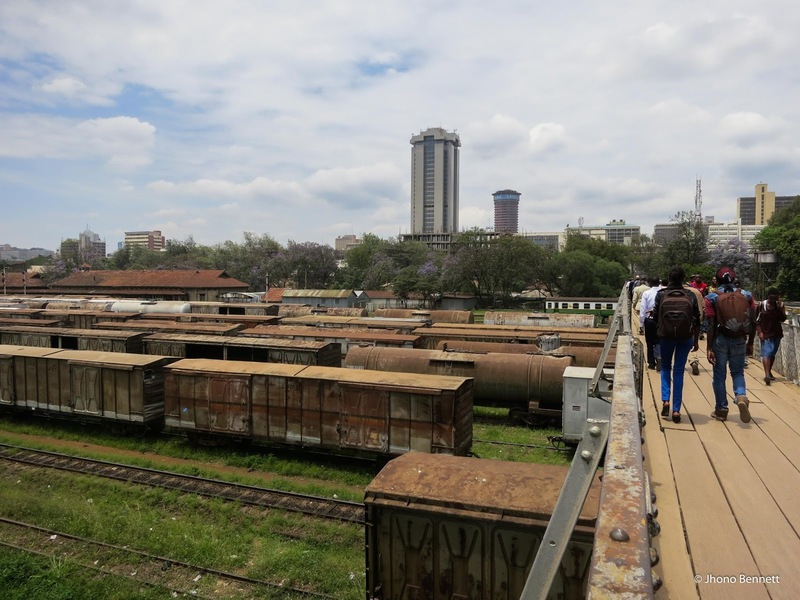 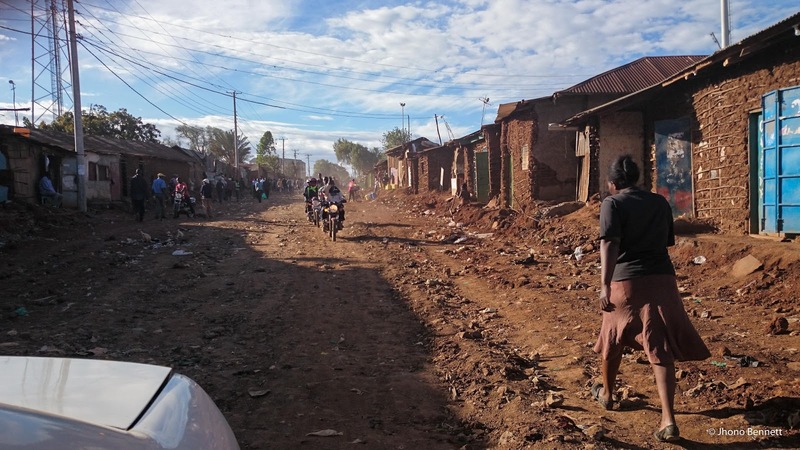 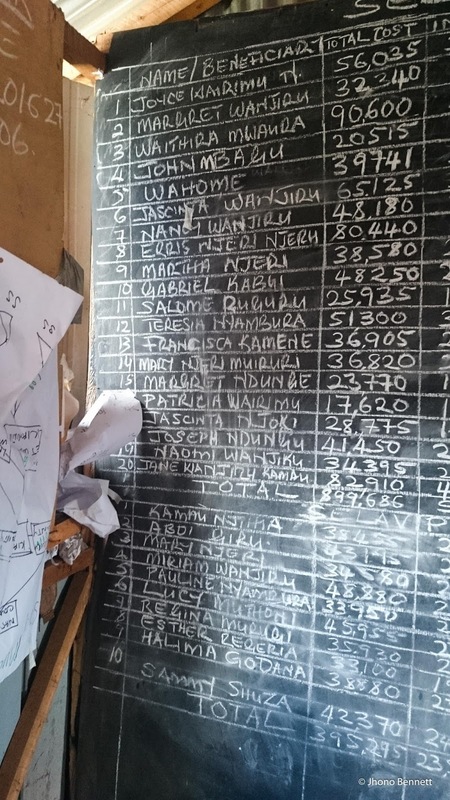 This experience was invaluable, and set the relationship for not only future collaborations between the Kenyan SDI Alliance’s Muungano Trust & Akiba Mashinini but also for a potential exchange trip between University of Johannesburg students to Kenya.